Is Ethiopia about to get more than one opposition MP? The current parliament in Ethiopia has only one opposition representative. Could this all change when up to 36 million voters head for the polls this Sunday? These will be the first elections since the death of the long-term Prime Minister Meles Zenawi in 2012. His Ethiopian People's Revolutionary Democratic Front (EPRDF) has been in power for almost a quarter of a century, and faces no reasonable prospect of defeat. Who is participating in the polls? There are 57 political groups which have registered for the election. Many of them are organised along ethnic lines. 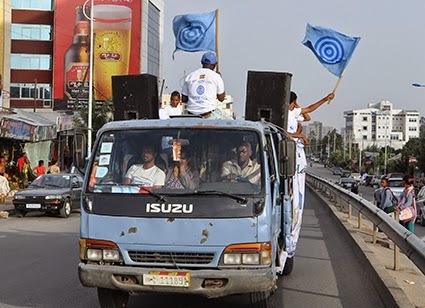 Apart from the EPRDF, some of the main contenders include the Ethiopian Federal Democratic Unity Forum; a coalition popularly known as Medrek (the Forum); Unity For Democracy And Justice; and the Semayawi (Blue) Party, which was established in 2012, and has earned itself a reputation for organizing protest rallies and which draws support from young people. Why have these elections caused controversy in the US? 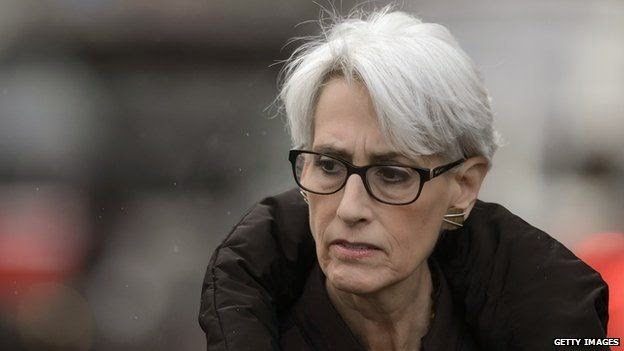 US Under Secretary of State for Political Affairs Wendy Sherman has praised Ethiopia as a democracy, prompting outrage among human rights organisations. Speaking during a press briefing in Addis Ababa in April, Ms Sherman said: "Ethiopia is a democracy that is moving forward in an election that we expect to be free, fair and credible and open and inclusive in ways that Ethiopia has moved forward in strengthening its democracy. Every time there is an election it gets better and better." What happened in previous elections? In 2005, 174 opposition politicians won seats in the 547-seat parliament, but many did not take them up after pronouncing the vote rigged. In the 2010 polls, Girma Seifu, of the Unity for Democracy and Justice (UDJ), was the sole opponent to win, while the ruling EPRDF garnered 99.6% of all parliamentary seats. An independent candidate was also elected. What do opposition parties say about these polls? The fractured opposition groups have accused the government of harassing their members and carrying out illegal detentions ahead of the elections. One politician, Yonathan Tesfaye, spokesman for the Blue Party, told journalists that some party members had been beaten, especially in the southern region. But ruling party spokesman Desta Tesfaw dismissed the allegations and accused opposition groups of trying to discredit the elections, saying: "They don't have their own policies and agendas, and that's clear to the Ethiopian people." Which outsiders are monitoring the polls?